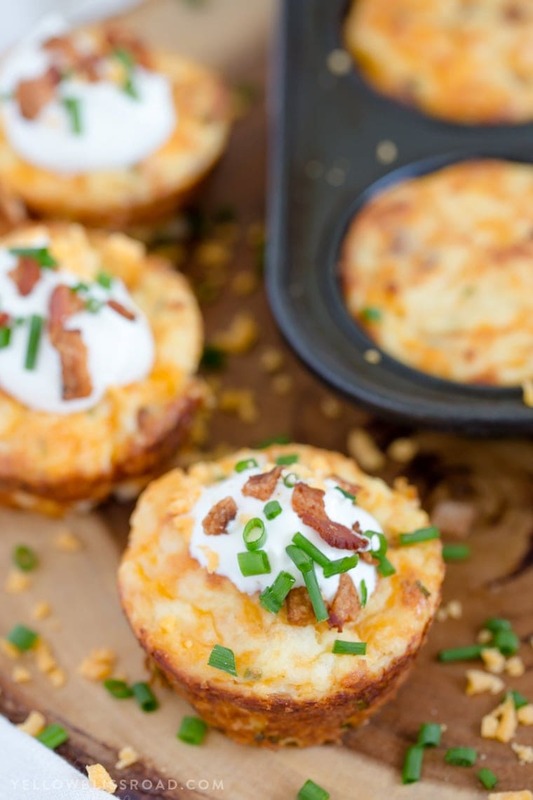 These Loaded Mashed Potato Puffs are fluffy, creamy and oh so delicious. 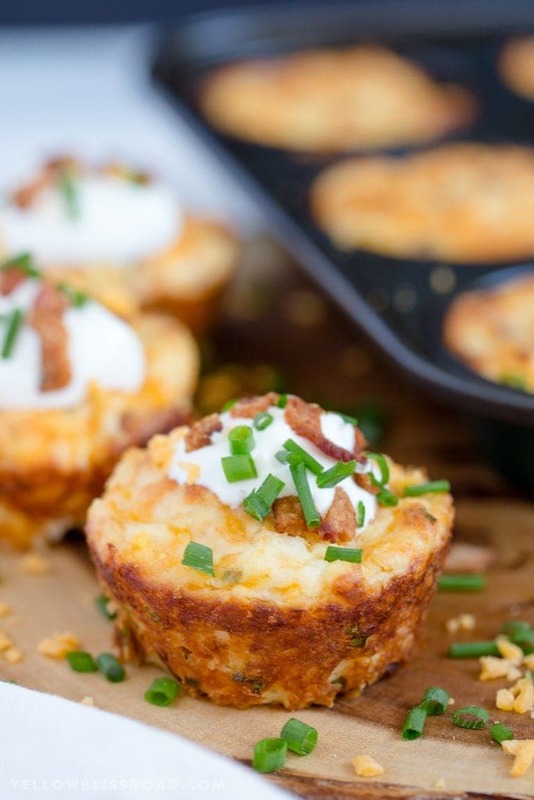 Filled with so many good things, like bacon, cheese and chives, they are sure to become a staple around the dinner table, but they are also perfect for your Easter Brunch! 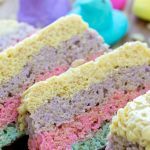 With spring right around the corner, I start thinking about Easter and all of the good food associated with the holiday (this is a FOOD blog after all, right?!). 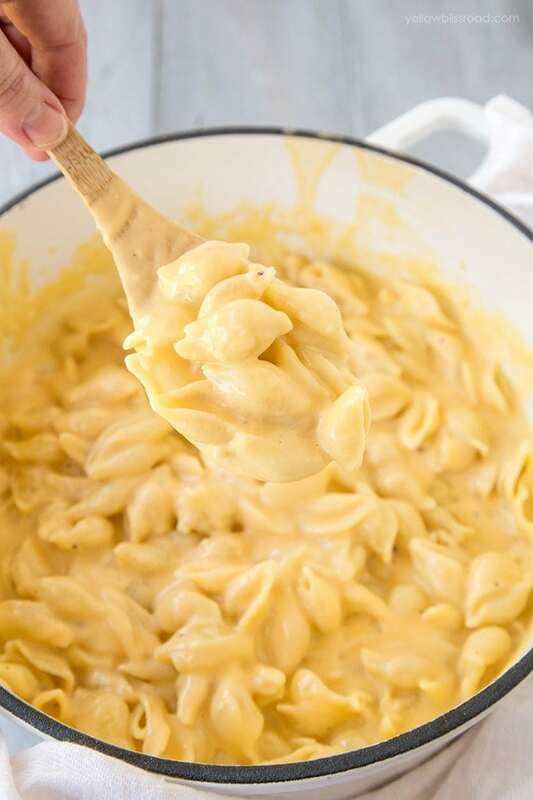 Like ham, cheesy potatoes, and Easter Candy Milkshakes. 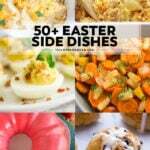 While Easter dinner is a common thing, I actually prefer Easter brunch. 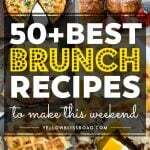 I’m not a huge breakfast person, but there are certain holidays that having brunch just makes all the more special. I mean you get all those delicious dinner foods, and breakfast too! 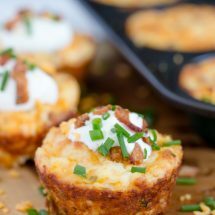 If you’re a brunch fan like me, then you have to try these Loaded Mashed Potato Puffs at your Easter brunch. 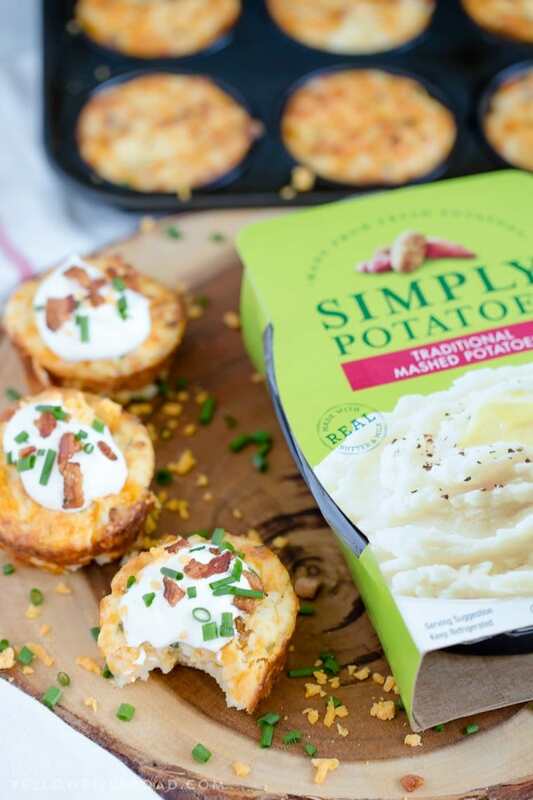 They are made with Simply Potatoes Traditional Mashed Potatoes, so there’s no peeling, cooking or straining your elbows smashing the potatoes on your own – it’s already done for you. 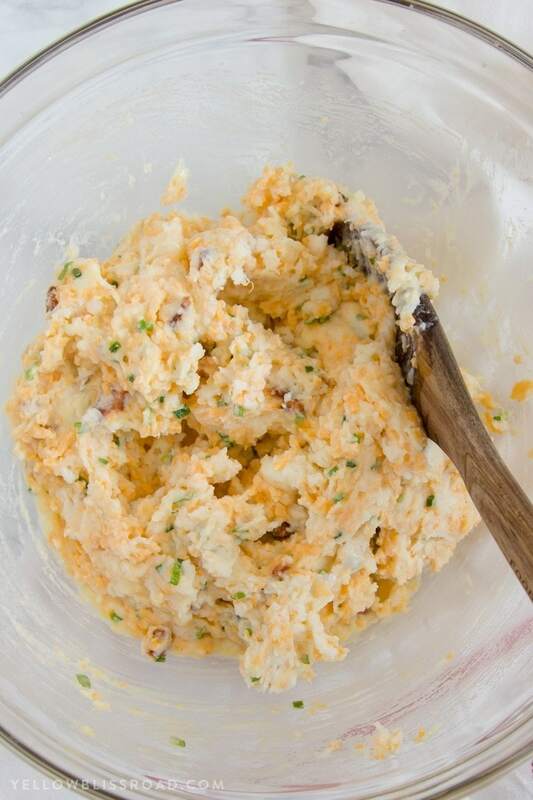 I consider myself a mashed potato snob and I usually don’t like mashed potatoes made by anyone but me. 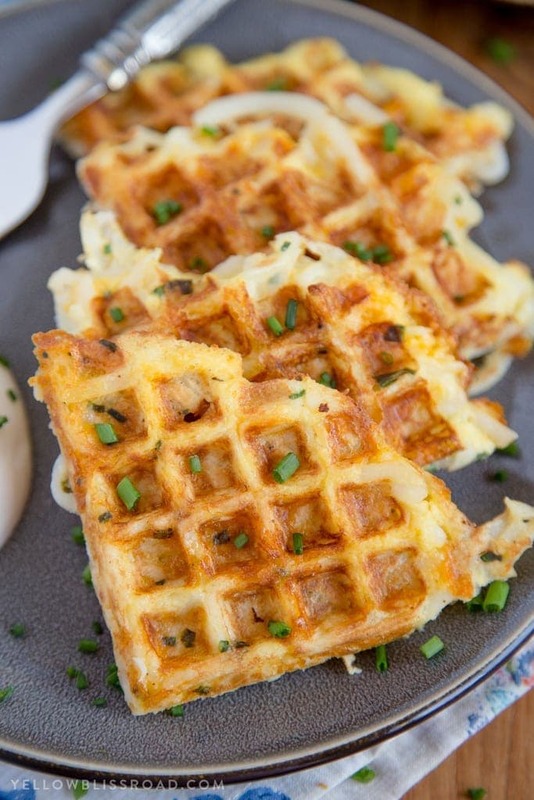 But these Mashed Potatoes are so silky smooth and have just the right amount of seasoning. 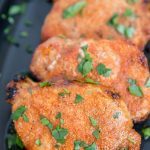 While I was making this recipe it was hard to resist sneaking a few bites! I mean, a good cook tastes her food as she goes along, am I right?! 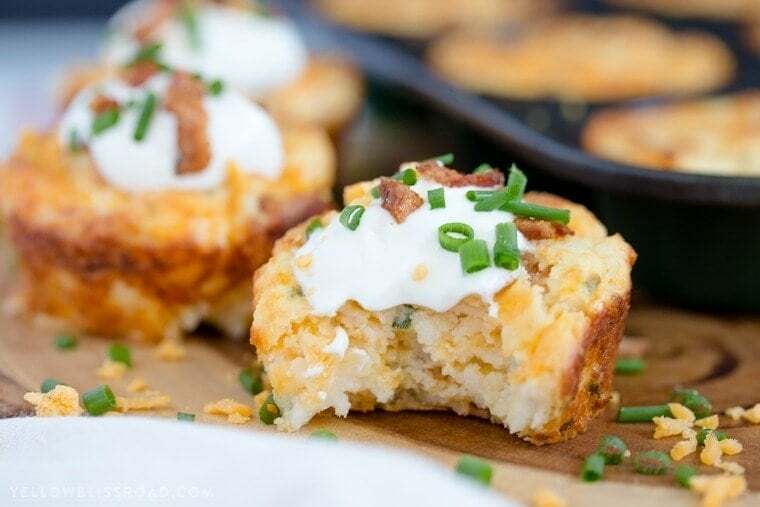 To make these Loaded Mashed Potato Puffs, you’ll start with a package of Simply Potatoes Mashed Potatoes (roughly 2 1/2 cups), some cooked and diced bacon, chives, eggs, and lots of cheese. Mix all those ingredients up and scoop into muffin cups (make sure to spray them generously with nonstick cooking spray – very important! The kind with flour in it would be an excellent choice here. Then bake those puppies until they are nice and golden brown on top and let them cool a bit before removing them. 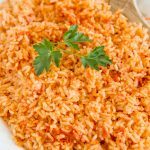 Use a thin knife to loosen them around the edges. 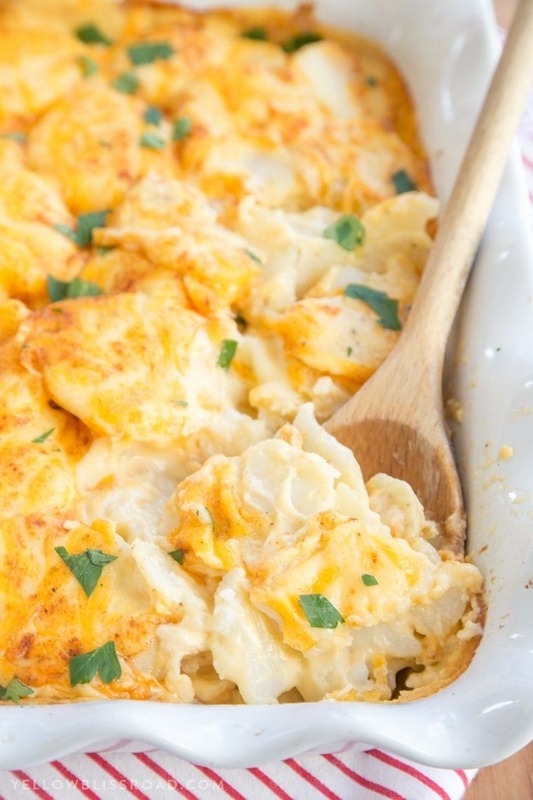 The eggs help these Loaded Mashed Potato Puffs to “puff” up nicely and also to stay together. They don’t taste like egg or anything like that, it’s just acting as the binder. My kids especially enjoyed these, even my potato hating daughter thought they were pretty amazing. 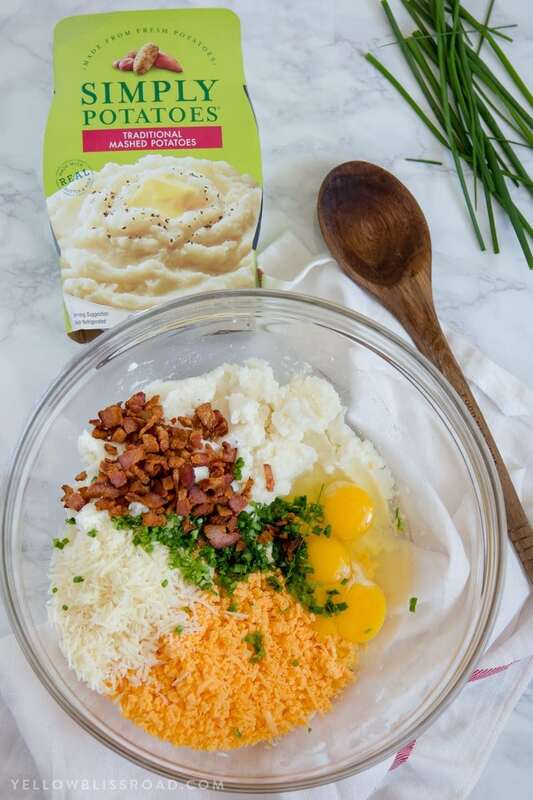 So pick up some Simply Potatoes Mashed Potatoes and get ready for ooohs and ahhhs at your Easter Brunch! Preheat oven to 400 degrees F. Spray 12 muffin cups generously with nonstick cooking spray. *Very important to spray the pan well to avoid sticking; greasing with butter or vegetable shortening works too. 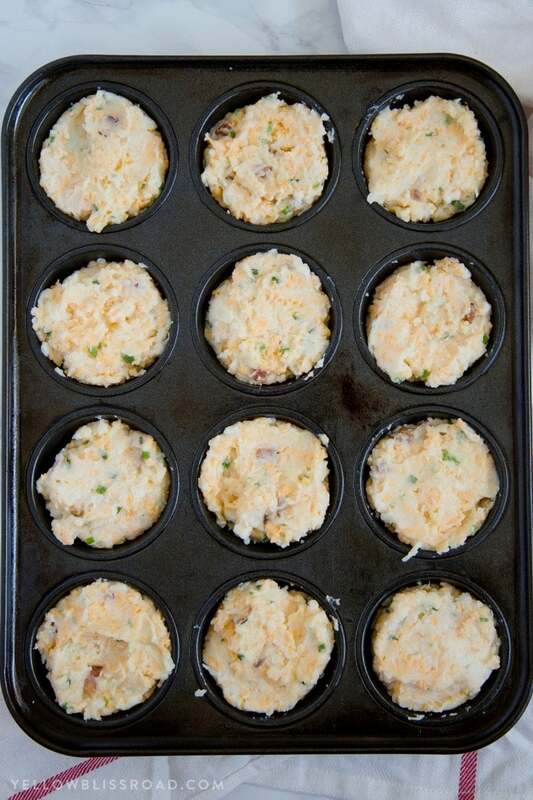 Divide the potato mixture evenly into the 12 muffin cups. 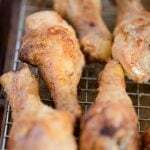 Bake in the preheated 400 degree oven for 30-35 minutes. Cool slightly before removing each mashed potato puff from its cup. Use a thin knife to loosen if necessary. 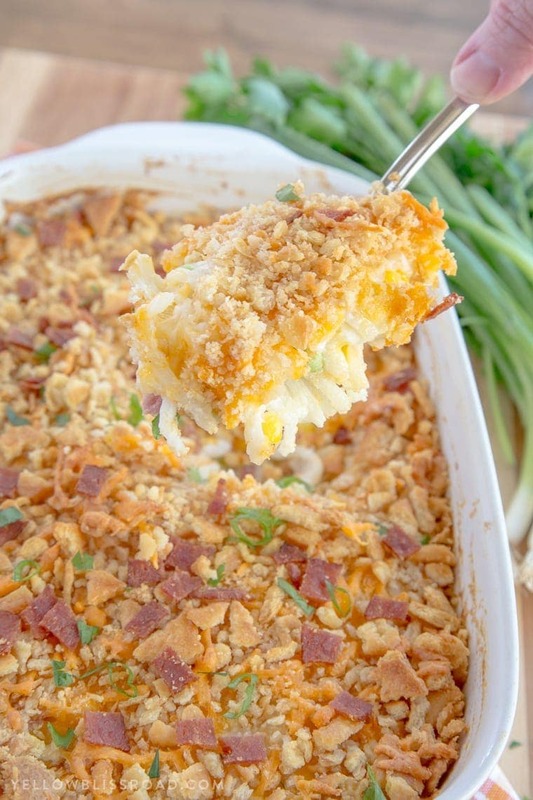 Garnish with sour cream, chopped chives, cheese and bacon if desired. 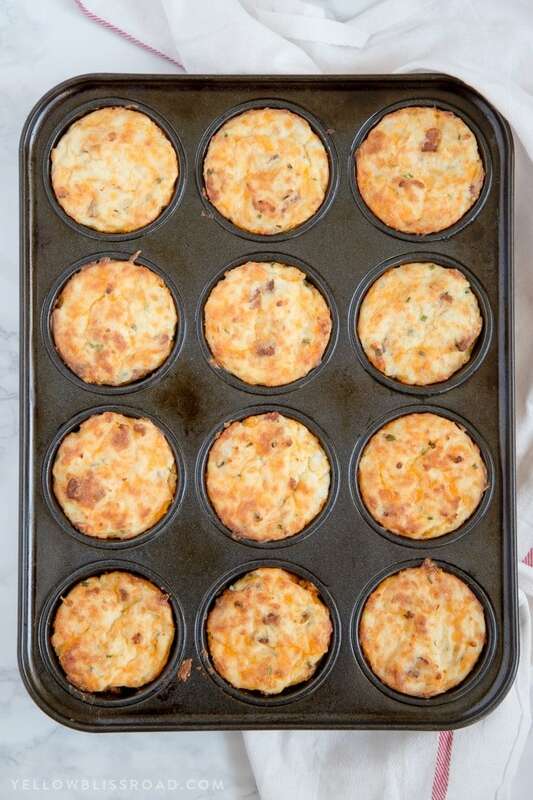 If I want to make this in the mini-muffin pan, how long should I cook them? 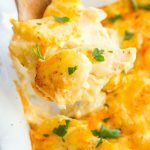 Do the mashed potatoes need to be cooked before mixing everything together? Nope! They come pre-cooked and mashed, or you can make your own mashed potatoes but either way they are already cooked and can be mixed in cold. Can u do it with homemade mash taters instead? 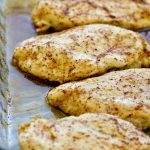 can these be prepared ahead of time and then warmed up later?? Making these tomorrow night! Just bought the ingredients. They look so good!